Texas is in real trouble politically. The giant red state has been targeted by the left and they are dumping millions into the state to turn it blue forever. There are at least 17 Democratic Socialists of America candidates running for office in the state now. They look like just ordinary people… but these are socialists. They are communist-lite. They are Marxists and they are a stone cold threat to our way of life and our freedoms in this nation. 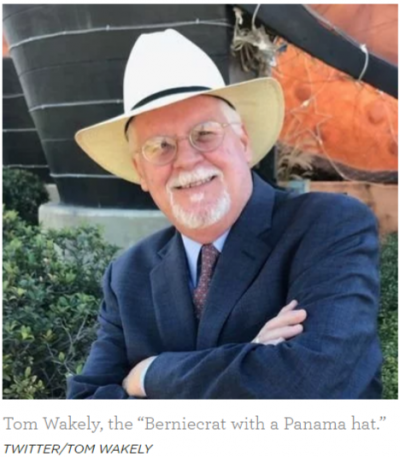 As the Texas Observer put it, the revolution will be down-ballot. First up is Franklin Bynum’s campaign for Harris County misdemeanor court judge. He’s a 35 year-old former public defender and says he’s seen Houston’s criminal courts routinely railroad the poor into convictions that drive them further into poverty. Now, after nearly 10 years subject to the whims of conservative judges, he’s aiming to take the gavel for himself. I guarantee you that he will do what all liberal activist judges do… he’ll set criminals free to go back to what they were doing before. This has nothing to do with the poor. One of the primary goals of communists such as Van Jones is to empty our prisons regardless of the consequences. “Who are these courts being operated for? 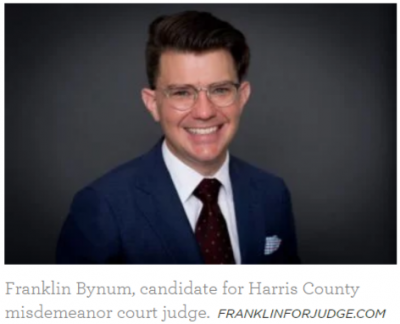 Right now, it’s the police, the bondsmen and the prosecutors, and people are just the raw material to be chewed up,” said Bynum, who’s running as a Democrat for Harris County Criminal Court. Bynum’s platform includes expanding the use of personal recognizance bonds, waiving certain fees for the poor and reducing mandatory appearances, which he said are used only to “coerce” guilty pleas from defendants out on bail. “A democratic socialist judge would make the courts work for the people,” he said. No, what it would do is obstruct the police from doing their jobs and let criminals walk free. Bynum is just one of the 17 DSA members mentioned previously. These candidates include U.S. House and offices ranging from governor to county treasurer. 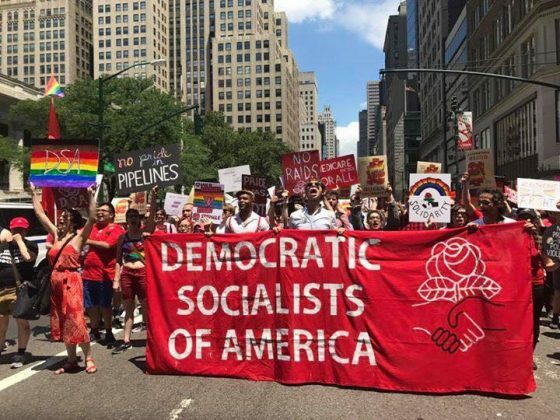 Democratic Socialists of America now claims to have more than 30,000 members nationwide, but personally, I believe it is a lot more than that. Their recruitment has exploded since President Trump took office. The DSA is on a mission to turn America into a Marxist conclave once and for all. They have over ten active chapters in Texas now and that ought to scare the living daylights out of Texans. They are funded by leftists such as George Soros and they are organized. These candidates are to the left of the Democratic Party and are going after issues such as single-payer healthcare and a $15 minimum wage. Bynum and other candidates on the DSA list have no primary challenger or are guaranteed a shot come November. What that means is that if the prophesied “blue wave” ever materializes, it could carry them to victory along with mainstream Democrats. If I were in Texas, I’d be working very hard to make sure that wave falls flat. Bynum has worked in the trenches as a criminal defense attorney for the last ten years or so. That included a stint with the Harris County Public Defender’s Office, but in most midterms he’d be a long shot. Unfortunately, 2016 was a really good year for Harris County Dems. They think an anti-Trump wave could sweep the elections this year. I doubt it, but I wouldn’t chance it. DSA members have been winning seats across the country and Texas can’t afford to have socialists elected there. Bynum says he isn’t depending solely on anti-Trump sentiment to drive turnout. He’s running a campaign that he calls more active and issues-based than those of his Democratic peers. He criticizes Harris County misdemeanor court judges for resisting a federal order to stop incarcerating those too poor to make bail; he’s campaigned outside the county jail with voter registration forms; he plans to hold clinics to help people with expired or suspended driver’s licenses; and he uses members of the Houston DSA chapter as his volunteer base. “It’s about showing we have a vision of a better future, in a time when there’s an overwhelming sense of despondency and most Democrats are doing nothing to dissuade us of that,” he said. “A democratic socialist campaign says, ‘let’s talk about what our aspirations are, how we want to live with each other — and let’s build a movement.’” Yeah, they want to spread Marxism. No thanks. The threat is real and Texans need to be aware that there is a socialist movement to take over their state. I suggest they vet their candidates carefully and vote accordingly.